We're in our second week of NO-vember and we're talking about priorities. Getting clear on your priorities will help you when it comes to saying no and spending your time in a much more deliberate way. 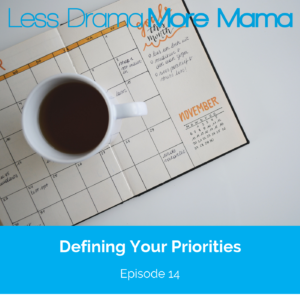 Tune in to learn what I recommend you make your #1 priority, the difference between what's urgent and what's important, questions to ask yourself to figure out whether you're living in line with your priorities, and recommendations for things to stop doing that will free up more time.